By aiming to make our activities better and more qualified, an entrepreneurs’ group from the food supply sector has taken the initiative to come up with a new commercial centre, consistent with the real necessities of the São Paulo city. The group had visited other markets throughout the world, along with many criterious researchs and studies. The commercial centre will be located at Perus District, Northwest Zone of São Paulo city, and it’ll have easy access to Rodoanel Mário Covas, Bandeirantes e Anhanguera highways, as well as by CPTM (Portuguese for: São Paulo Metropolitan Trains Company) train line 7 – Ruby. NESP structure will be comparable to the most modern markets of great cities from developed countries, with proper structure to commercialize fish, meat, fruit, vegetables, eggs and even flowers. The facilities will have better labor conditions for producers and traders who will own or rent their compartments on it. Small and average business will also be benefited not only by the easelly accessed location, but also by having a product supply infrastructure as efficient as the logistics centers from big markets and supermarkets. 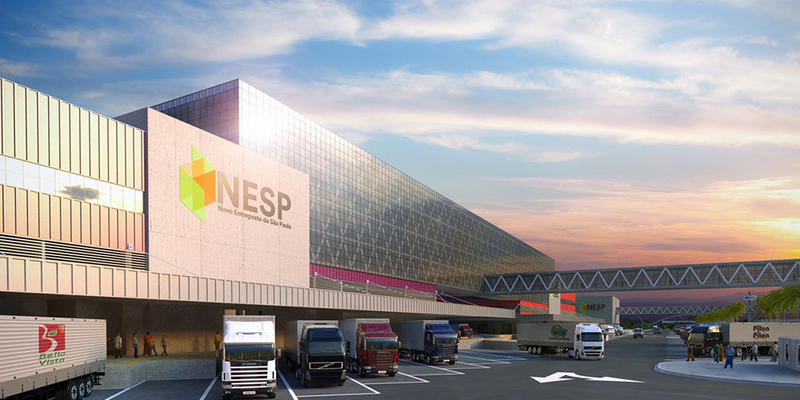 NESP will be, inicially, a modern food trade center which will even have an intermodal system with product transportation by train and highways. 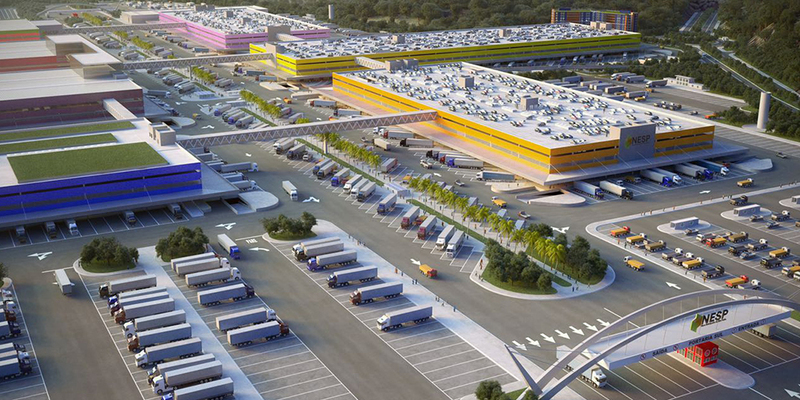 This is the first stage of a wider project, the PADESP (Portuguese for Supply, Distribution and Logistics Center of Sao Paulo). This facility is the result of the new warehouse and the logistics platforms for bigger loads of products and heavier vehicles. In the next stage, NESP will go beyond the trading of vegetables, fruits, fish and flowers: it’ll also include more types of food and aggregate different items from the supply chain. PADESP will focus on product arrival transported by trucks and trains, providing the distribution directly to consumer centers.